Want to learn more about Saladmaster? Sign up for a free in-home healthy cooking show. Learn more here! The Saladmaster cooking system has helped generations of families make mealtime more memorable all across the globe. 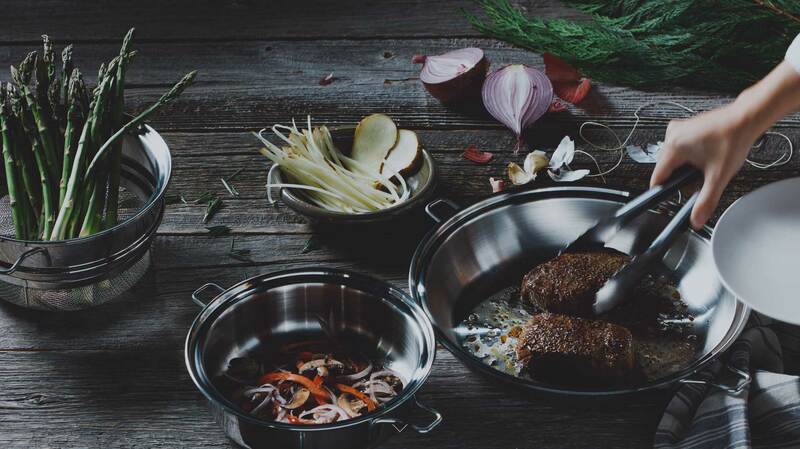 Our full-line of premium cookware includes exclusive features that offer healthier ways to cook better-tasting food much faster. Saladmaster cookware is made in the U.S.A. using carefully selected American and Swiss stainless steel. And it’s backed by a Limited Lifetime Warranty, so you can enjoy your cookware for decades. 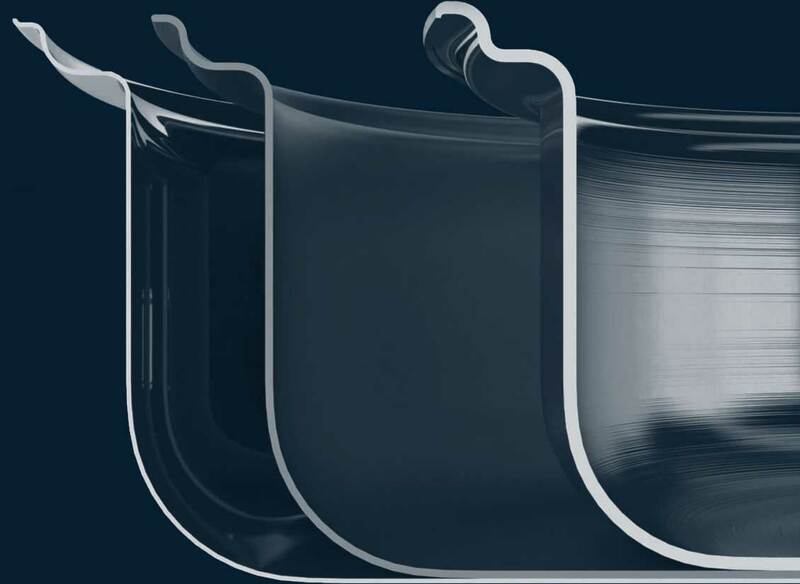 Saladmaster’s heat-conducting thermal core provides one of the highest standards for even heating across the bottom and up the sides of any dish. It’s the secret to exceptional cooking. 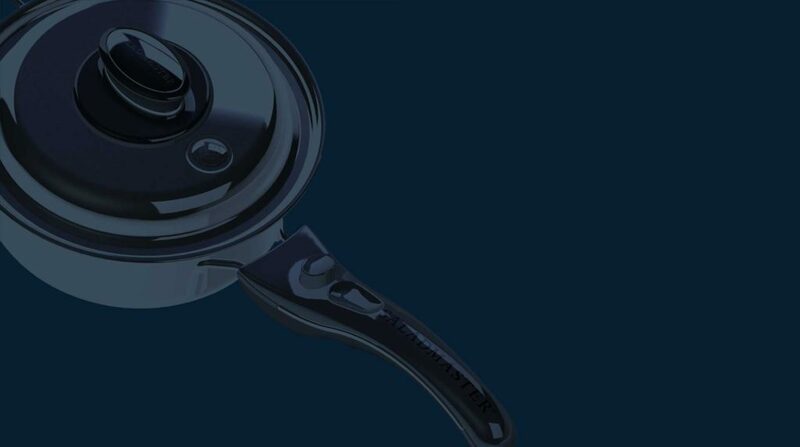 Saladmaster cookware is constructed of 316Ti stainless steel, a premium material that is non-reactive to the acids and enzymes in your food. This, combined with our cooking method, protects the purity and flavor of the ingredients you cook for healthier, more nutritious, flavorful food, every time you cook. Our Vapo-Valve™ technology and semi-vacuum cooking method makes cooking more efficient and precise. When the temperature exceeds the optimal cooking temperature, the built-in Vapo-Valve clicks, letting you know it’s time to reduce the heat to avoid overcooking. Our cooking method also substantially reduces cooking time – so you can get out of the kitchen faster to enjoy your food. Because there’s no need to add butter, oil or excess fat to flavor your food, your favorite recipes can be made healthier without sacrificing the taste you love. Our Vapo-Valve creates a semi-vacuum cooking environment that locks in moisture and maintains food’s natural flavor. The Saladmaster waterless cooking method allows you to cook without the need to add and drain-off water. This maintains the optimal amount of vitamins and nutrients in your foods while also protecting the natural flavor of ingredients. A study from the University of Wisconsin Department of Food Science demonstrates that food cooked in Saladmaster retains up to 93% of its nutrients. That’s twice the retained nutrients than traditional cookware. Cooking can sometimes get a little messy. But the wide, dripless pouring edge designed into each piece of Saladmaster cookware makes pouring liquids much easier – so you don’t waste a drop. Our detachable, ergonomic Versa Loc™ handles are easy to grip and give you the flexibility to safely go from the stovetop into the oven in seconds. This transforms your cookware into a beautiful serving piece fit for any table, while keeping food warm. Because sometimes how you serve is as important as what you serve. Want to learn more about Saladmaster? Sign up for a free in-home healthy dinner show. Learn more here!